Many people asked me to make a tutorial that teaches how to program and so here it is. I’ll be teaching how to program through problem solving which I think is the best way to learn. 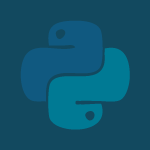 Python is the best first language and so I’ll use Python 3.5 to teach. And, based on your requests I will use PyCharm in this tutorial series. I cover receiving input, printing to the screen, doing math, comparison operators, logical operators, if, elif, else and a whole lot more. The code and a transcript of the video can be found below to help you learn. # 2. The ability to output information to the screen, files, etc.